As we are marching in the core of Eurovision national finals season another date was added on the calendar this time from Montenegro, who will be holding its national final “Montevizija 2019” on February 9. 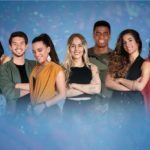 The national broadcaster of Montenegro, RTCG, made public that the date that we will see Montengro’s hopefuls battle for the golden ticket to Tel Aviv will be February 9. A total of 5 acts will be competing in this year’s national final among which we see once again the Eurovision 2009 representative , Andrea Demirović, who had failed to qualify to the grand final with her song Just Get Out Of My Life, ending in the 11th place of the semi final. Notable are the participations of Ivana Popović-Martinović and Nina Petković, who had made an attempt in last year’s national final to represent the country without luck. Montenegro made its debut in the contest in 2007 as an independed country. It particpated until 2010 when it decided to withdraw due to financial reasons. 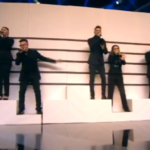 In 2012 the country made its Eurovision comeback. In 2014 Sergej Ćetković and his song Moj svijet represented the country and achieved for the first time to qualify to the Grand final, ending in 19th place. One year later Knez with his entry Adio scored the country’s best result by finishing 13th in the Grand final. In 2017 Slavko Kalezić, finished 16th in the semi final with the song Space. In 2018, the country after a lot of years of internal selections revived the national final of Montevizija, winner of which was Vanja Radovanovic , who flew to Lisbon with his song Inje, finishing in 16th place in the second semi final . Stay tuned in the INFE Network for more news about the Montenegrin national selection process for Eurovision 2019 and updates on more Eurovision 2019 national selections.